Have you chosen a goal for 2018’s Goodreads Reading Challenge? 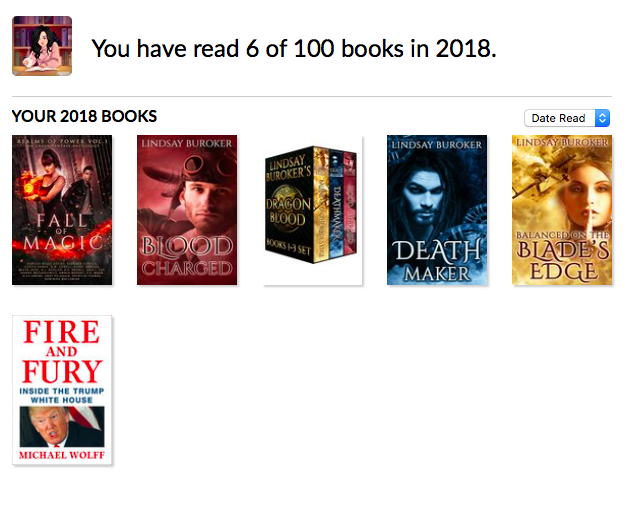 I decided to repeat 2017’s goal and stick to 100 books. I’m currently ahead of schedule but I have one extra book that shouldn’t be there. It’s the boxed set. I’m not sure how to work around that. I wanted to show that I read the boxed set and also show the three books included within the set. 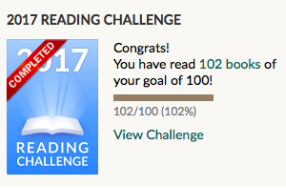 I guess I’ll have to read an extra book and make my goal 101. Michael Wolff – Fire and Fury – Yes, I was one of the many putting this book in #1 spot. I’m fascinated by this White House. It’s dysfunctional and messy, and Wolff covers all that. 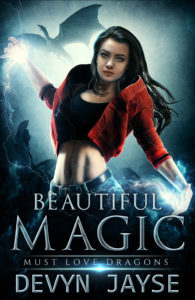 Assorted Authors – Fall of Magic Urban Fantasy Anthology – Finally managed to finish the anthology I was in. Lots of fun stories. 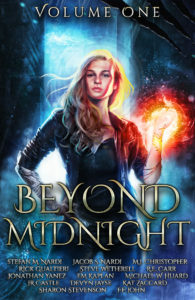 If you haven’t picked it up yet, it’s $0.99 on Amazon. 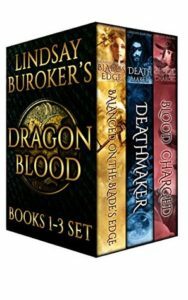 Lindsay Buroker – Dragon Blood Books 1-3 Boxed Set – Containing the books Balanced on the Blade’s Edge, Deathmaker, and Blood Charged. 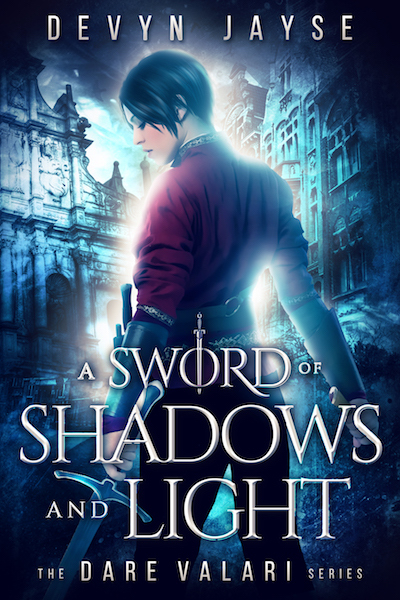 Enjoyed these light fantasy romance reads. Recommend picking up your copy. 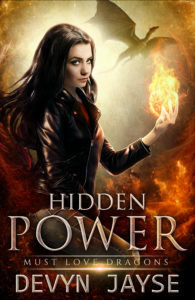 It’s currently free on Amazon. What books have you read this week? What books are you planning to read this weekend? 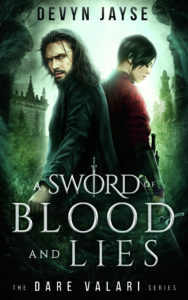 If you have any recommendations for fantasy reads leave me a comment! 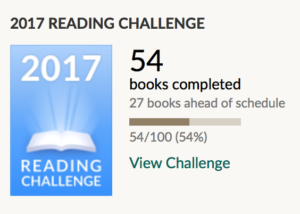 I managed to complete my Goodreads Reading Challenge early this year. 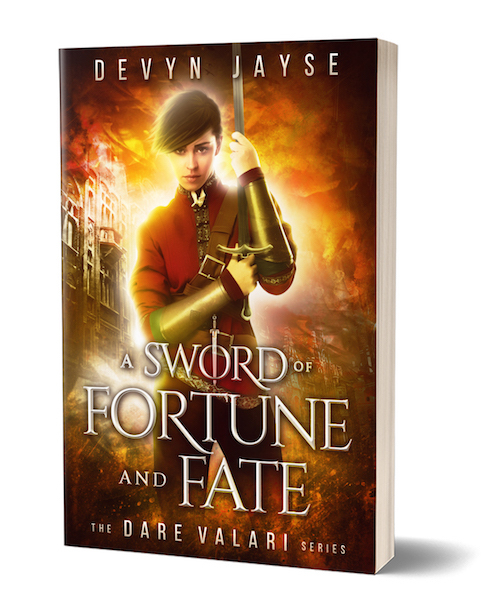 And the best news is that I exceeded the initial 50 book goal I had set for myself! Did you set a challenge for yourself? How far along are you? I’d love to hear more about the books you’ve enjoyed this year. Let me know how many books you have left here on the post. 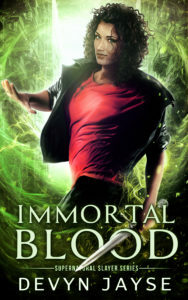 Do you have a Goodreads account? Follow me here. I love reading. I love books. I love finding out what people are reading and what they’ve enjoyed. Strangely enough, I’ve never been part of a book club. If you’re a fan of books you have to be on Goodreads! This year I’ve been binge-reading. I read a lot of books at once and then slowly read parts of some until the urge to binge struck again. 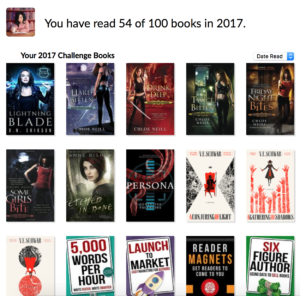 For the 2017 Reading Challenge I chose 100 books. 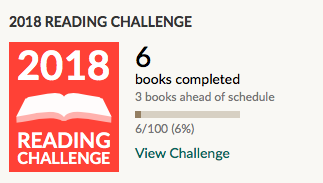 As of today, my Goodreads Reading Challenge is 54% complete. I think I’ll read more during the summer. 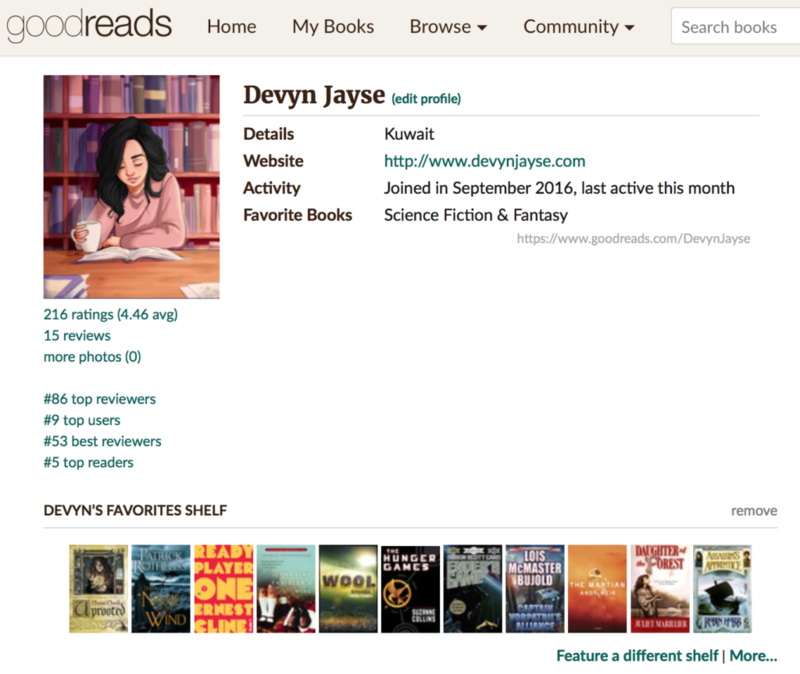 As part of self-publishing, it’s been interesting to see how people use Goodreads. I leave short reviews that serve as reminders to myself. I tend to forget if I’ve read books or not. Goodreads basically acts as my journal. If I read something and forget about whether I liked it or not, it won’t be unusual for me to leave zero stars. That’s not a reflection on the book but rather that my bad memory was back and I couldn’t remember what I had thought of the book. I enjoy being part of the community at Goodreads and it’s important as a reader and writer to see what books people are enjoying and recommending. 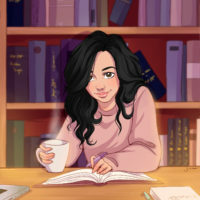 Do you have a Goodreads profile? Follow me or add me as a friend HERE. Happy April 1st! Here are four books I’m excited to read this April. 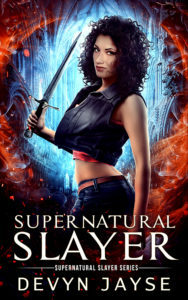 Click on the covers to purchase or pre-order the books from Amazon. These are just some of the science fiction and fantasy books I’m hoping to read in April. What new releases are you excited about? Let me know in the comments below!